John Cena and Nikki Bella are not giving up on their relationship, a representative for the former Divas Champion has confirmed. "Nikki Bella and John Cena are working on their relationship and taking it day by day. They appreciate all of their fans and their continued support,"the rep said in a statement to E! News on Thursday reads. Bella announced in April she had split from Cena and called off their wedding plans after a six-year relationship. 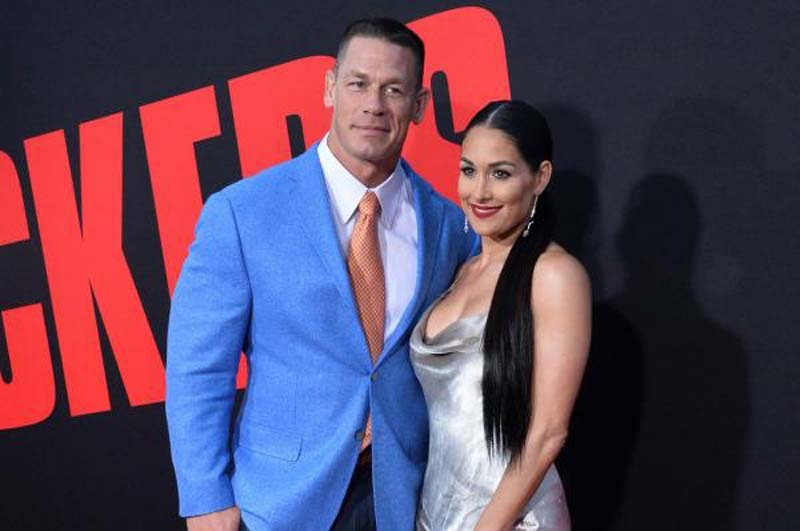 The split followed the third season debut of Total Bellas, which featured Bella reconsidering her wedding because she wanted a child and Cena did not. Cena appeared on Today in May and told hosts Hoda Kotb and Kathie Lee Gifford that he wanted Bella back and was now willing to start a family with her. Cena and Bella have also been spotted together recently in San Diego, where they share a home. A clip from Total Bellas released Thursday features Cena and Bella backstage interacting at a WWE event after their breakup. "It's taking every fiber of my being not to text or call you," Cena says in the video. "I miss you so much."